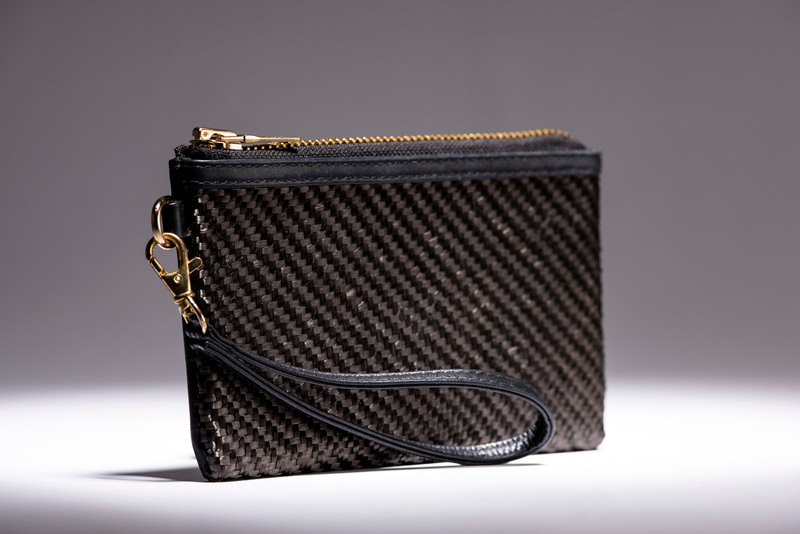 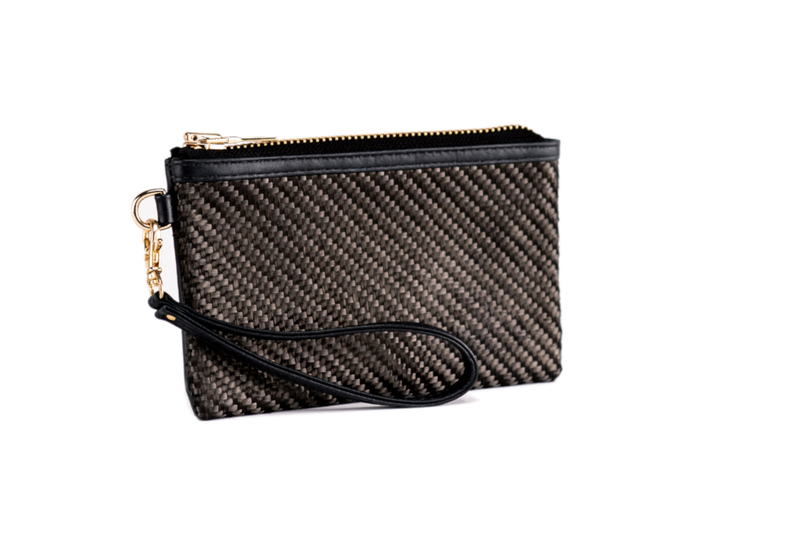 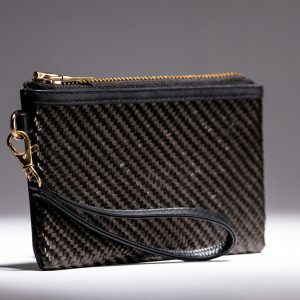 This cute designer wristlet is made with a sleek and sturdy carbon fiber and premium leather exterior and a supple suede interior. 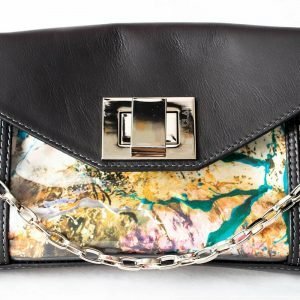 A beautiful and functional piece by itself or to compliment one of our full-sized pieces, like The Vivian handbag or The Leigh clear satchel. 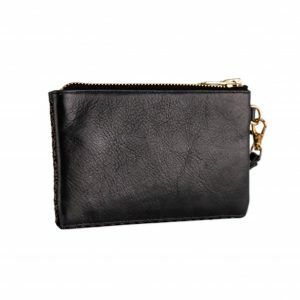 The compact size of this luxury wristlet is perfect for carrying the essentials, with plenty of room for cash, cards, and tickets to the show / and the most important cocktail napkin you’ve ever written on. 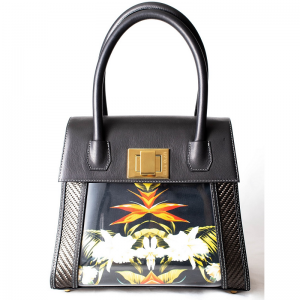 The gold zipper closure contrasts wonderfully with the exterior and keeps your belongings / essentials safe and secure. 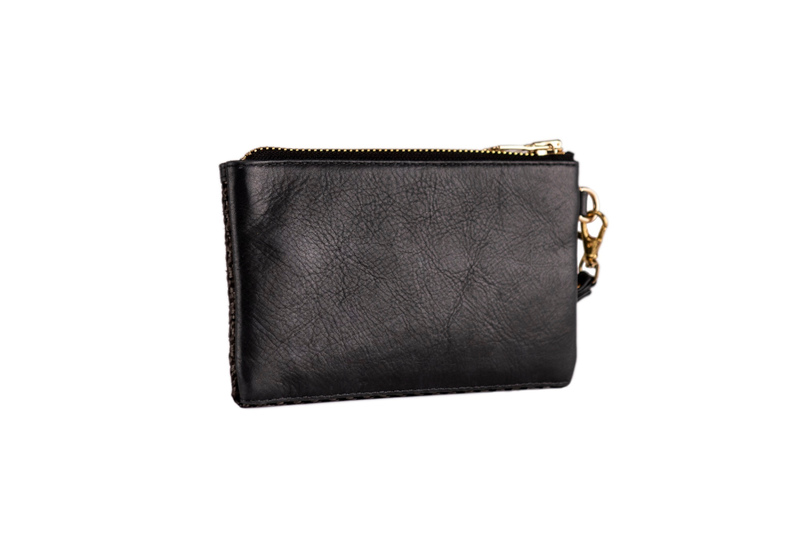 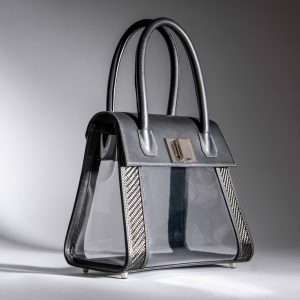 Consider the VIP Wristlet a great starter piece to the Ella Clair brand or an even better companion to our head-turning line of clear luxury handbags. When you want to shout!